Just a hint of the ruby crown shown above, and you can see more of it below. It raises that ruby crown in a crest when defending territory and attracting a mate. I recently resupplied my bird seed stock with some no-waste premium bird seed from my local bird supply store Feed the Birds and more. I've been surprised to see the Lesser Goldfinch eating it, as they have only been at the thistle feeder before now. I was also shocked to see this Ruby-crowned Kinglet eating the premium bird seed. Cleaned me out of peanuts again! Great shots Robert, I am jealous of the red cap, I never seem to get that shot. I once met an AZ birder who had been birding for decades and had never seen the ruby crown of a Ruby-crowned Kinglet. Now seeing and photographing the hidden crowns on kingbirds...that would be awesome! Thx Mia! I still need to make an appointment with you and Ron for a day of bird photography together so I can learn from the real pros. You just never know who'll show up for dinner!! 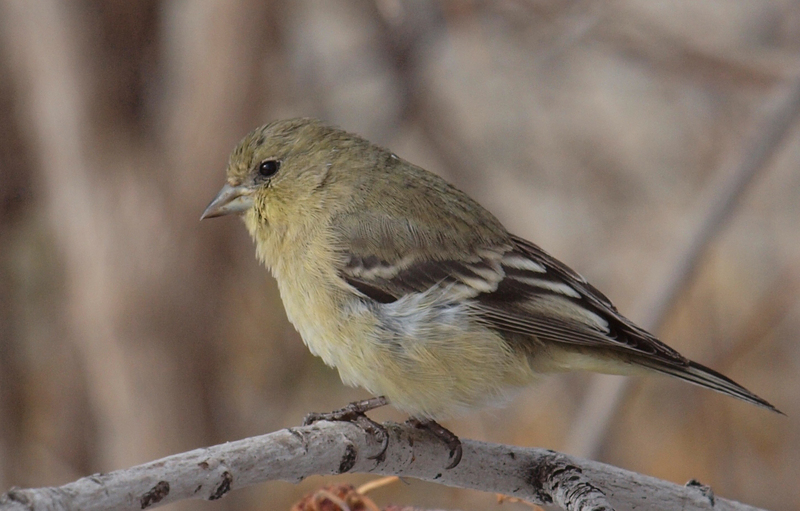 Expecting the unexpected is definitely part of the joy of birding. I shoot with an Olympus e620 with a 150mm lens. These birds shown in today's post allow me to sit pretty close to the feeders and brush pile without any sort of camouflage. Interestingly enough, the House Sparrows and House Finches will not come around when I sit that close. I'm already planning my Spring backyard bird photo shoots hoping for close-ups of Lazuli Buntings and Black-headed Grosbeaks. For them, I will definitely have to be in a blind and I plan to rig up some natural-looking perches as I prefer them over feeder shots. But, I'll take a good feeder shot any day. Gode billeder af de smukke fugle. I love them all! Wonderful photographs of your beautiful backyard birds! 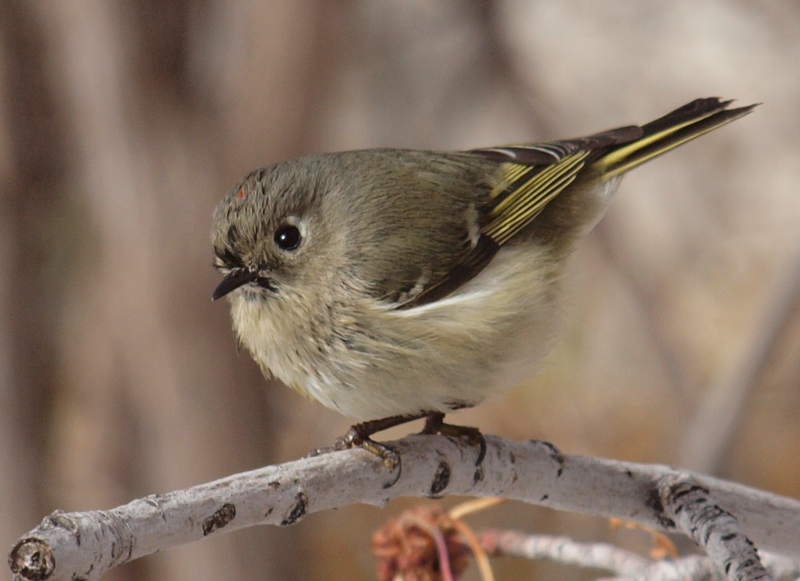 I've never seen a Ruby-crowned Kinglet eating birdseed before. Lucky you! That Western Scrub Jay looks so much like the Florida Scrub Jay we have here. Wonderful birds and thoughts! Great Shots Rob! I can't get enough of the Juncos and Chickadees--looking forward to the Buntings too.